Meet faculty! Discuss course offerings for the Spring, Summer, and Fall! 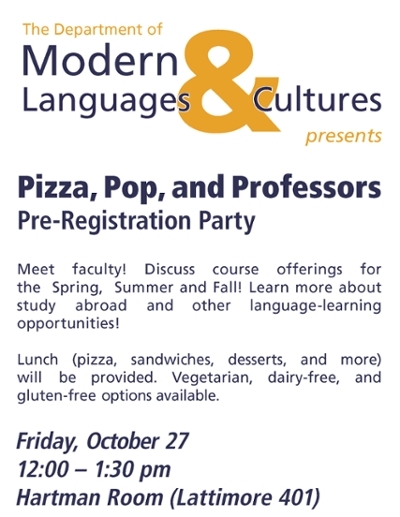 Learn more about study abroad and other language-learning opportunities! Lunch (pizza, sandwiches, desserts, and more) will be provided. Vegetarian, dairy-free, and gluten-free options available.